Imagine you are here in Australia and experiencing finding share accommodation, asking for directions, going to parties, making friends and many other things! But… can you imagine yourself doing it in English? Are you giving up the chance of doing any activities in English by giving yourself excuses like “I just arrived in Australia…” or “I’m not good enough at English”? 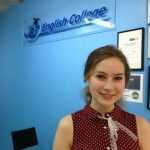 Whatever your excuse, we believe that deep inside, you know that you want to speak in English. Forget about boring textbook lessons! Reading textbooks is just a useless way to study! 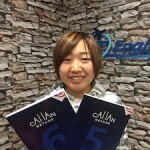 Why don’t you start studying English with the Callan Method? This method is 4 times more effective than other general teaching methods! 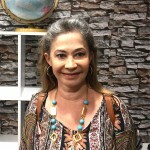 You can definitely improve your speaking and listening skills, your pronunciation will be corrected and you can learn to speak English accurately. And guess what? Now that you have improved your skills with the Callan Method, you can now use them in the classroom with our new lessons. This “Callan Method” + “SLT” (our newly implemented method) is the ideal combination that JET English College proposes for you to be able to improve your English at maximum speed! With this combination of lessons, we can provide you with the best environment for students who purely want to speak English and optimize their results.